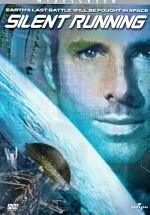 A group of cave explorers are confronted in an underground cavern by a mysterious living rock. Little do they know that it bears home to deadly, flesh-eating creatures, intent on wiping out the entire human population. Can they survive and ultimately prevent Earth's total annihilation? Never released in the United States, only a handful of countries saw a cropped and edited VHS release nearly thirty years ago, that is until now. For our inaugural release, Midnight Legacy is proud to present the first-ever widescreen release of Alien 2 On Earth! The definitive version, transferred from the original 35mm negative, which runs longer than any other version seen throughout the world. The presentation that finally represents the intended vision of Alien 2 On Earth. Before October 2010, I’d never heard of 1980’s Alien 2 On Earth. That’s when a thread on the Home Theater Forum mentioned the film would soon receive its first-ever US home video release. I was always pretty sure that 1986’s Aliens was the sequel to 1979’s Alien, so what the heck was Alien 2? A movie that may or may not have been a cheap Italian rip-off of Alien, depending on who you ask. Over on the HTF, I posted some queries about the movie’s nature and ended up more confused than when I started. Even the Wikipedia entry seems befuddling, as it refers to Alien 2 as an Italian sequel to Alien but also states its plot boasts little connection to the Ridley Scott classic. Whatever the truth of the matter may be, all of this was enough to pique my curiosity and land Alien 2 in my Blu-ray player. Speleologist Thelma Joyce (Belinda Mayne) suffers from psychic visions that disturb her. These hit her hard while on a TV show, but she can’t seem to voice what she sees. Around the time a NASA mission returns from space – with the astronauts mysteriously missing – some strange blue rocks start to appear. A colleague of Thelma’s discovers one of these, and we soon learn that they have insidious powers: they contain alien eggs that hatch and make people explode from the inside. That’s a bad thing, I guess, and it creates mayhem. Unfortunately, it doesn’t help create an entertaining film. Sometimes when a movie goes unseen – or little-seen - for years, it develops a reputation as a classic – maybe just a cult classic, but something special. It appears that Alien 2 got such a boost, at least among horror aficionados. More power to those folks; if they find something worthwhile here, I’m happy for them. However, I can’t figure out what that “something” would be; other than a quick shot of Mayne’s spectacular bosom, this movie is a total wasteland. The film should change to Alien 2: The Slowest 84 Minutes of Your Life, as the pacing goes beyond deliberate and into glacial. 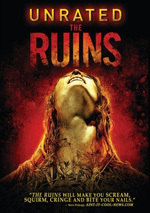 Was this an attempt to emulate Ridley Scott? After all, Alien moved at a pretty languid pace itself; the title creature didn’t even emerge until close to the flick’s halfway point. However, Scott used that time well to create a mood, set up tension, and develop characters. Alien 2 director Ciro Ippolito simply fills space, as he does absolutely nothing to move along story or characters in a satisfying manner. This results in a movie that takes a long time before anything even vaguely interesting occurs. At the movie’s start, we follow Thelma as she drives to the TV studio. Do we need a few minutes of left and right turns? No, but hey, it takes place along with the opening credits, so no big deal; filmmakers often run the titles over non-essential footage. If the driving sequence was the movie’s only turgid piece, I’d forgive it, but it doesn’t stand alone. When Thelma goes to the beach to meet her colleagues, she drives there, walks along the short and then waits for her pals to row to her. There’s another three or four minutes of almost literally nothing. Once Thelma and the gang get into the caves where most of the “action” takes place, the film moves a little more briskly, but that’s relative. Not a whole lot occurs; even when the alien creature finally emerges, we’re more likely to watch the participants mull over their predicament than do anything interesting. Some will blame the low budget for these flaws, but that’s not a good excuse. A lack of money causes many problems, but it doesn’t mean a movie can’t find something interesting to do with its time. The amount of padding used to stretch the flick to feature length becomes obscene. I suppose Alien 2 should get some credit for the fact it doesn’t simply remake Alien; that would’ve been the easier way to go. Indeed, the two movies aren’t as similar as I’d expect. 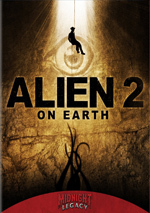 Yes, Alien 2 clearly rips off its predecessor; this isn’t an example of a coincidentally similar movie that opts for a title to exploit the other flick’s success. But Alien 2 also isn’t a simple rehash of Alien. A few very similar sequences emerge, particularly when the alien egg first opens. That segment closely mirrors the one in which Kane finds the pulsating egg and the face hugger attacks; the two films are so close that the Alien 2 scene offers a nearly shot-by-shot replication. Of course, this works much better in Alien, but it’s pretty much the only part of Alien 2 that’s a literal rehash. Maybe that’s a bad thing; though it would’ve been less original, maybe Alien 2 would’ve been more entertaining if it stole more actively. As it stands, the movie’s a thorough dud – for humans, at least. When the alien first emerged, it did startle my little dog Abbie; she’d been snoozing happily, but she briefly popped up. Alas, it didn’t last, and Abs soon returned to her slumber. I was sorely tempted to join her, as Alien 2 provided ample material to lull me to sleep. 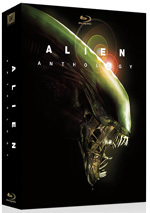 Alien 2 On Earth appears in an aspect ratio of approximately 1.85:1 on this Blu-Ray Disc. While inconsistent, the transfer often looked quite good. The early moments fared the worst, mostly due to the liberal use of stock footage. Those shots tended to be soft, messy and ugly, but they soon transitioned into 35mm material created for the flick, and those fared much better. Sharpness remained an occasional issue, though I think that derived largely from the source. No one will accuse Alien 2 of being a meticulous production, so I felt a lot of the mild softness stemmed from poor photography, not from a weak transfer. In any case, most of the movie boasted good to very good clarity, so the image was usually concise. No issues with jagged edges or moiré effects occurred, and the image appeared to lack edge enhancement or artifacts. Print flaws were surprisingly absent – at least once you got past that awful stock footage. Grain seemed natural, and virtually no instances of specks or marks marred the presentation. I was shocked at how clean the film appeared. Colors were another pleasant surprise. The movie went with a fairly natural palette, though an orange tone dominated, largely due to the garb worn in the caves and the look of that location. While I never thought the hues appeared truly dynamic, they seemed pretty lively and satisfying. Blacks were reasonably tight, and shadows showed fairly good clarity; a few low-light shots were a bit dense, but most seemed solid. The mix of minor concerns made this a “B” transfer, but given what it could – and probably should - have been, I felt quite pleased with it; I can’t imagine that the movie will ever look better than this. On the other hand, I felt much less satisfied with the film’s DTS-HD MA 2.0 soundtrack, which seemed consistently drab. Granted, a lot of that stemmed from the movie’s age and roots, but I still thought that the audio could’ve been much stroner. The soundfield would best be described as “broad mono”. The audio didn’t appear isolated in the center, but it also lacked any form of spread to the sides. The imaging wasn’t as precise as I’d like, as it moved out of the middle a little too much. Nonetheless, it usually remained acceptably centered, so the lack of clear monaural placement wasn’t a real distraction. Unfortunately, the quality of the material became a bigger problem. Speech was consistently dull and lifeless. I could understand the lines but they never seemed at all natural, and they demonstrated awful looping. I couldn’t figure out if the lines were spoken in Italian and later dubbed in English or if they were always English but simply re-recorded in a clumsy manner. Whatever the case, the speech rarely matched the mouth movements, and all of it sounded canned. Music came with a bass-heavy feel that lacked spark or pep. For the most part, effects seemed about the same, though they showed the most prominent high-end of the bunch. This could be a negative, though, as some of the louder moments tended to sound shrill and rough. None of the effects displayed good accuracy or clarity. For the most part, flaws remained absent, but some problems did arise. On occasion, jarring examples of noise and hiss would pop up out of nowhere, and the track could be scratchy at times. I got the feeling someone applied a whole lot of artificial noise reduction to the mix and that gave it the lifeless tone. This wasn’t a genuinely terrible soundtrack, but even for something recorded in 1980, it seemed weak. Only a few extras appear here. We get the movie’s Dutch VHS trailer - with all the movie’s gross-out scenes in one place - as well as special effects outtakes. That reel lasts 11 minutes, 27 seconds and shows various shots of the alien in action. These come without sound and are usually pretty dull, to be honest; many of them repeat over and over, and they’re rarely especially interesting. Sometimes you’ll find a diamond in the rough, an old, forgotten movie that deserves a wider audience. More often, however, you’ll find something like Alien 2 On Earth, a cheap piece of nonsense that provokes no emotion other than utter boredom. The Blu-ray comes with surprisingly strong visuals, but audio is flawed and the supplements add little. A small group of fans will enjoy this movie, and they’ll be happy with this release; the other 99.999 percent of the population should skip it.